Students at Mount St. Vincent University are planning their next move after one of their own was hit at a crosswalk last week. 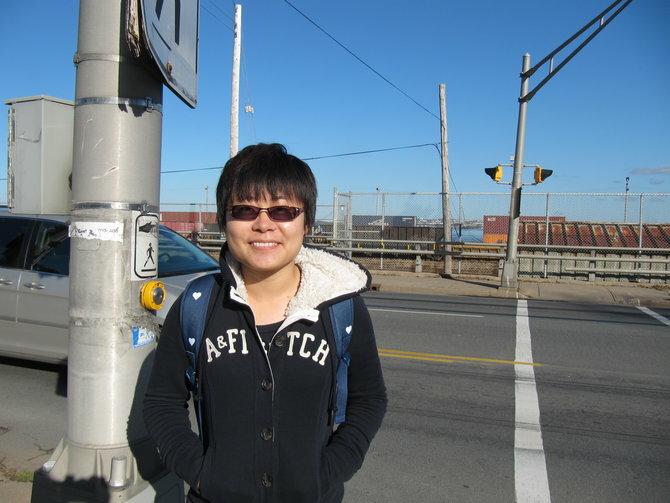 A 27-year-old female student was hit Thursday morning during rush hour in front of the university as she crossed the Bedford Highway, a main artery between the MacKay bridge, downtown Halifax and residential communities. She suffered minor injuries and was released from hospital that day, say police. The problem is many students say they have similar stories to tell. Fitzpatrick, who’s been with the student union for 13 years, says the union has had many campaigns trying to make the crosswalk safer and will be discussing how and when to start another, in light of this most recent collision. “It’s so busy on that road that these kinds of things happen. Should they happen? No. Do they happen? Yes. But there’s got to be steps taken so they don’t happen,” he said. Hundreds of students cross at the two crosswalks every day, many taking the bus to and from classes. Fan Farli, a psychology student, takes the bus every day and says she finds the road “dangerous” to cross during rush hour and often she has to wait a long time before cars stop. “It’s a terrible thing because something like that, an accident, should not happen,” said Farli, suggesting that the city install rumble strips on either side of the crosswalks to remind drivers. Nonetheless, she says she’ll be crossing the busy street multiple times a day. The union has worked with the university and different community groups to convince the city to make the two crosswalks in front of the Mount safer and Fitzpatrick says some progress has been made. He says there’s been confusion as to which level of government, either municipal or provincial, is responsible for crosswalks on the highway. The union has asked for traffic lights or flashing red lights, but that hasn’t happened. The traffic authority is responsible for the crosswalks. Taso Koutroulakis, the Halifax Regional Municipality’s manager of traffic and right of way, was with the department when the student union lobbied a couple years ago. 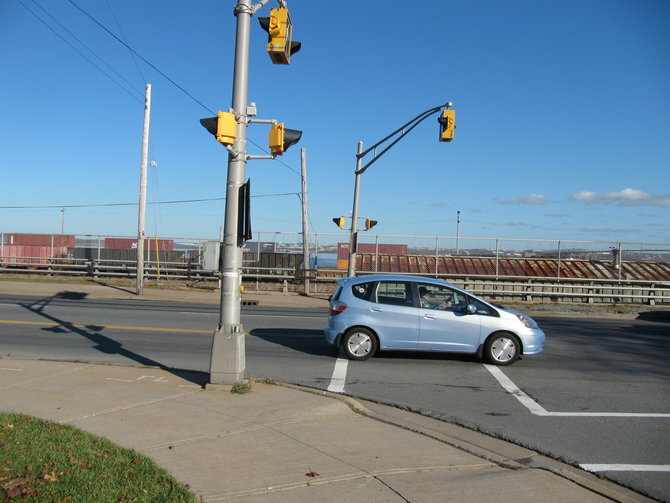 He says staff installed side-mounted amber flashing signals at the two crosswalks, as well as others across the municipality, as part of a joint pilot project with the provincial government. He says he has been concerned about the “rash of collisions” in the last few weeks, but can’t comment without comparing police investigations. 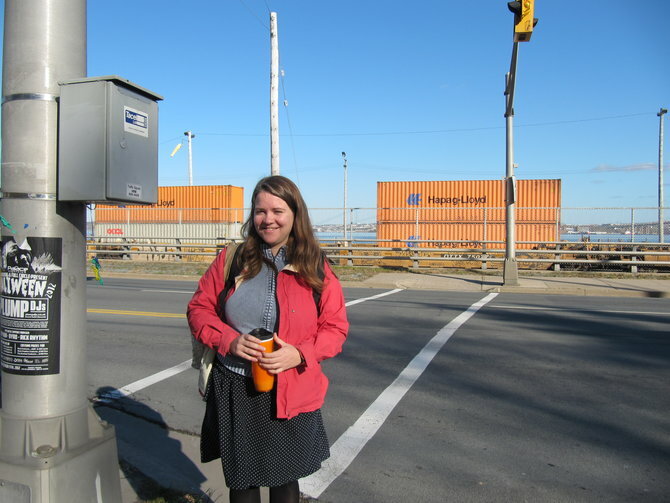 “We wouldn’t place a crosswalk in a dangerous location,” said Koutroulakis. He says every intersection counts as an unmarked crosswalk and drivers, by law, have to yield to pedestrians. Not all drivers seem to be obeying, although they all should know the rules, he said. “It’s in the Motor Vehicle Act. It’s in the driver test,” said Koutroulakis. Students and people living in the area will continue to cross the Bedford Highway, but at least one student says she’s shaken up after hearing of this most recent crosswalk incident. A MSVU student was hit by a car at this crosswalk on Thursday. 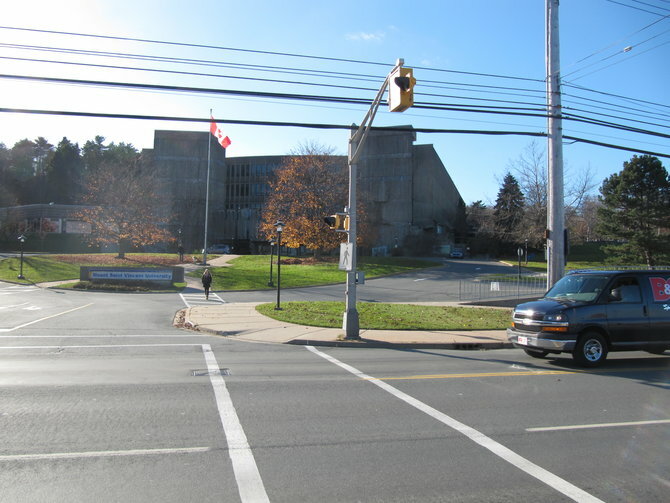 The crosswalk is one of two that cross the Bedford Highway. Hundreds of students cross each day to get to the bus stops. Four students give their thoughts after hearing of the collision. 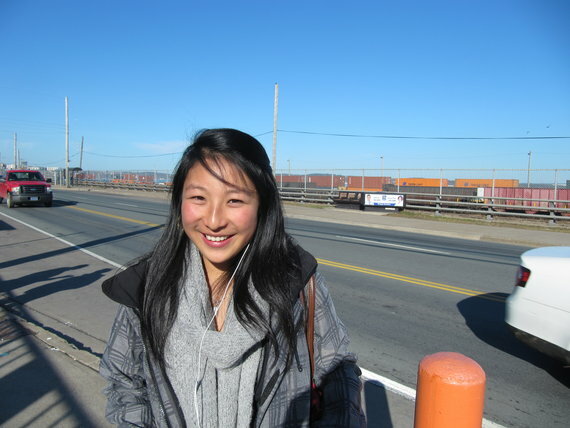 Evangeline Sing, MSVU tourism and hospitality management student: " It’s kind of scary because I cross here all the time. Sometimes in the morning you have to wait a while for when you know it’s actually safe. You can’t just cross even though there’s the crosswalk. It’s takes them a while to pick up on it." Fan Farli, MSVU psychology student: "It’s a terrible thing because I think something like that, an accident, should not happen... I think sometimes it’s a little bit dangerous, especially during rush hour - too many cars... I usually come to school on the bus so it’s a little bit worse because, every day, there are so many cars on the road." 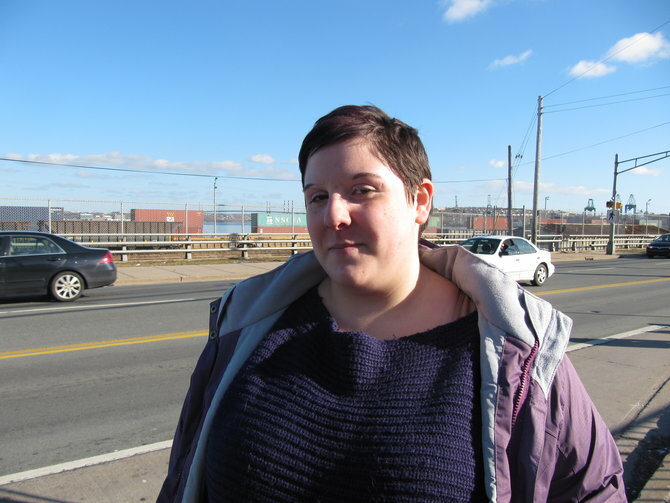 Nadia House, MSVU child and youth studies masters student: "I’m not surprised. I take the bus every day and I cross the crosswalk... They’re on a highway and they kind of feel like they don’t have to or they don’t necessarily see that people are in the crosswalk... I just feel really unsafe. Knowing that somebody got hit, I’ll be watching way more because there’s been a few times when I have to stop and wait to see if a car is going to go or not." Kelly Schnare, MSVU conference attendee: "I lived in Taiwan for a really long time and they had some overpasses with staircases. They weren’t always used but at a busy intersection like this especially with a bus route that would be ideal. It’s not a blind turn at all. People should be able to see the lights. But at rush hour people are kind of impatient. I can understand that there are accidents but they should be proactively avoided."